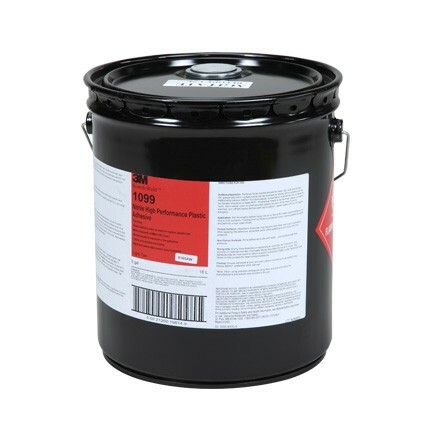 3M Nitrile High Performance Plastic Adhesive 1099 Tan, formerly known as Scotch-Grip, is a fast drying, medium viscosity, rubber adhesive that is used for bonding foams, plastics, fabrics, vinyl extrusions, and sheeting. It is heat curing, flexible, and resistant to oil, water, plasticizers, and weathering. It can be applied by brushing and flow methods. 5 gal Pail.